Replace your sluggish internet modem/router with the Best CenturyLink Modem Router DSL combo. From the beginning, CenturyLink established itself as a reliable brand. The DSL modems from this brand offer fast and consistent internet speed. If you correctly set up the modem and the net connection is ok, then the modem able to provides the best service as it promised. You need a compatible modem with your device to enjoy the maximum potential of your connection. You will find many types, size, and capacity of DSL modem, router or combo of CenturyLink modem in the market. But seeing the ideal one will be little tricky. To help you all out, we tried and tested some best CenturyLink modems for you, so you quickly find a better option to buy. Here are some best DSL modems for CenturyLink 2018 that you can use without having any worries about quality service. Have a look down below. Let’s start with some solid build and economic networking device named Zyxel C1100Z 802.11n. The router/modem support VDSL2 and ADSL2/2+ and automatically detect CenturyLink network setting configuration. It comes with a built-in phone jack to connect quickly. Also, the overall settings of the modem are pretty much more accessible and could be done in few minutes. The C1100Z model comes with four Ethernet ports, higher speed capacity, and less complicated function. It has got N300 router and provides an adequate range and performance for overall usage. Its 802.11N technology with 2Tx2R antennas reduce dead zones and enhance coverage. The data rates of this one are 300 Mbps and offer a decent data and multimedia delivery. The C1100Z also support WAP/WAP2/WEP and other features that a WPS button allows giving much flexibility in setting or customize using one button. Compatible with VDSL2 and ADSL2/2+ backward. Easily connectable with new devices. Quick and easy touch support with TR-069 remote management. No option for an auto connection timeout. For the better internet speed, you have another option name, CenturyLink Technicolor C2000T Wireless 802.11N. It’s a modem router combo features Wireless-N technology for connecting multiple devices. It offers enhanced range and clear signal allowing you enjoy uninterrupted Gaming, movies, music, work, etc. You can enjoy all the services offered by DSL just in one device. The Technicolor C2000T is suitable to use existing wiring including the “triple-play.” It also has VDSL2 connectivity and Voice over (IP) for residential users. This future-proof gateway service has the WEP encryption and firewall security option to keep all kind of data and information safe and sound from intruders. The model comes with Gigabit Ethernet, DSL WAN sensing, USB port, WAN/LAN port for better networking. Included 4G LAN allows multiple devices smoothly. Comes with Ethernet, USB and power cord. Assimilated VDSL2 modem, Bonded ADSL2+. Usable to couple with other routers. Takes time to set up. Here are another high-speed modem and router combo in a long run. 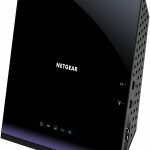 The NETGEAR AC1600 WiFi VDSL/ADSL Modem Router – 802.11ac comes with dual-band Gigabit, 1600 Mbps speed and better wireless coverage. For fiberboard and it provides quick VDSL modem and also can work with ADSL connections. It includes NETGEAR genie home network manager for better home networking experience. You can use it cover up a large area like, big home or workplace and connect 10+ devices at a time. It offers more reliable streaming compare than other routers or modem with 802.11N technology. So that, you can enjoy lag-free, smooth HD video streaming, massive graphics video games on the sport always. Attuned to ISPs, DSL like Centurylink, Verizon, Frontier, etc. Offer maximum wi-fi speed, 1600 Mbps. Includes Ethernet, USB, Power cord, etc. Easily pair-up with other router or security system. Perfect for use home, office or any remote places. The maintenance system is bit flaky. Not compatible with significant cable internet providers. Those who prefer less function and old school type router will prefer the D-Link Wireless N300 DSL Modem Router DSL-2740B. The router is compatible to work with DSL port and phone port well. It also works with four non-gigabit Ethernet ports onto one side. It’s suitable for a home with 2/3 device in smaller ranges. You can add NAS and PS# game console and play without getting interrupted. Moreover, Interface intuitive, auto-detect function and services of NAS like the u-torrent client, and other services work well. It has an option for view connected and disconnected devices of LAN-network which is very simple. You can add another router to increase the Wi-Fi speed and range as well. 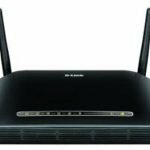 It might have some lacking comparison to latest router or DSL modem of Centurylink, but as a simple, durable, and affordable router many users still like the D-Link DSL-2740B. IEE 802.3 and 802.3u compliant. SPI and NAT active Firewall. Support WPA and WPA2 encryption. Here is another best CenturyLink Modem/router is the most affordable price. The CenturyLink ZyXEL PK5001z is an easy and simple option to get the decent speed of internet at your home or workplace. It comes with 802.11N technology with 2Tx 2R 5 dBi antennas. These are used to provide improved speed, better coverage and reduce dead zones. The router/modem allows 300 Mbps of wireless data transfer and 1000Mbps of wired data transfer rate and ultimate multimedia delivery. This DSL modem supports WEP, WPA, and WPA2. It has a WPS hardware button which allows you to quickly setup, reset, etc. just with a single touch. The PK5001Z can identify and manage malicious apps and contents using its dual Ethernet firewalls (NAT & SPI). It’s a genuine and excellent factory replacement router for CenturyLink DSL. It’s easy to install and connect with multiple devices. Includes WPS button for easy and simple setups. Decent wire and wireless data transfer rate. Secure with dual Ethernet firewalls. Not a dual brand router. No USB port is available in it. Another best router from NETGEAR. The NETGEAR N600 Dual Band is hassle-free noncable router/modem which offers 600 Mbps data transfer rate and also USB data/multimedia sharing. It’s good to connect multiple devices and get the interrupt internet service on them equally. The N600 has UI which detects your devices connect and them fast but with proper authentication. Its WPA2PSk ensures your protection from unwanted apps, widgets or any connection that is not it’s on the list. Like, another NETGEAR has the Genie app which controls the home network to keep the system safe. The app is also helpful for customizing the management system, setup or reset as well. The modem comes up with dual-band technology and Gigabit wired system. You can find couple up it with other router or use it individually for better internet services. Easy home network management with Netgear Genie app. DSL set may be hard to figure out for new users. If you are looking for a low prices DSL CenturyLink modem router then look no further. The Actiontec 300 Mbps Wireless-N ADSL Modem Router is the best option for those who have a tight budget. It comes with many useful features that offer good internet speed, better security, and easy management. It protects your system with its built-in firewall by continuously monitoring the devices. It has an 802.11N wireless standard which ensures maximum speed. It also backgrounds compatible so that your old devices don’t get the boot to connect to the network. The Actiontec Modem Router is capable of managing multiple devices like laptop, smartphone, Xbox, etc., streaming downloading and browsing without any lags or drops. The machine’s auto set up wizard makes your upgrade insulation etc. much easier compare than other top-notch routers. Improved wireless security features and firewall. Built-in auto detects wizard for auto configuration. Backward friendly along with wireless standards. Not compatible with the 5GHz band. Neither USB socket nor 802.11 as supportive. A robust and straightforward modem/router is the best option to utilize at home for regular users. That is why TRENDnet AC750 Wireless VDSL2/ADSL2+ router modem. It’s a hassle-free device to connect your other device to the internet. This best modem+ router combo is compatible with ADSL2/VDSL2 and ISP networks. It’s suitable to cover your standard size home or office place very quickly. The TRENDnet AC750 offers both wireless and wired internet connection with decent data transfer rate. You will get 433 Mbps AC in wireless and 300 Mbps N bans. The wireless range of Ac750 came from stand protected with different encryption routes. Any user can quickly set the modem router even it is his/her first time. The setup process of the device is simple, and the instruction guide is reasonably detailed. And thanks to its WPS button adding new tools is also effortless with it. The wireless able to make up a stable range. Two 3.0 USB and four Ethernet ports included. For fast and steady internet speed we have a better choice for you, the NETGEAR Nighthawk AC1900 (24×8) DOCSIS 3.0. It’s a WiFi Cable Modem Router Combo which offers fast download speed even during peak hours. It consumes less power and also saves money by excluding your internet service provider rental cost. You can use it for Comcast Xfinity Blast or any internet plans you need to. This best CenturyLink DSL modem has 1.6 GHz processor. It boosts performance for 4k downloading, streaming, gaming and more. It’s a 3-in-1 device includes DOCSIS 3.0 Cable Modem, AC1900 WiFi Router, and 4 Gigabit Wired Switch. Its 24*8 channel bonding can give 960Mbps download speeds and HD coverage for the entire house. The NETGEAR Nighthawk AC1900 has Ethernet ports and USB ports so you can share multimedia, store data or command different devices easily. The Wi-Fi signal commensurately faster. USB port to add a network printer or storage. 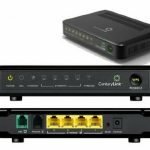 What modems are compatible with CenturyLink? Many new buys often ask this question. Any model that supports DSL and Ethernet have fit it. That is why our last pick is Actiontec GT701D is an excellent package of sleek design, energy efficient power usage, and high speed. It will save a lot of electricity bill in every month. Moreover, it features robust hardware construction, full ADSL2/2 speeds. 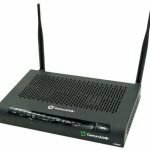 The CenturyLink modem router combo works for creating complete connectivity and home networking for any DSL internet users. It has static route supper, VIP mode, unnumbered mode, Stateful and NAT firewalls. It’s secure, easily manageable and connectable with other devices. Has multiple security systems including website blocking. Choosing the best modem for CenturyLink will be more comfortable once you know what makes a modem ideal for CenturyLink DSL. Have a look below and learn what factors you should look for to choose a quality modem. Many kinds of DSL services are now available like- ADSL, HDSL, SDSL, VDSL, etc. the modem you’re going to have should be compatible with your ISP. Check the specification of your modem to confirm its required ISP. If it’s not mentioning about Centurylink, you better avoid it. We all know what the work of a modem, so what this “Usage” about? Actually, it’s the device you are going to use with the modem. If you have multiple devices to use on one modem, you take a modem with Ethernet connection. Most of the DSL modem of CenturyLink is suitable for using for extending periods. But it’s the technology that makes them inefficient after each upgrade. Look for something with recent update features so it doesn’t get old just in few months you bought the modem. If you have been around the market, you should see DSL model for CenturyLink comes under various budget. Some midrange modems offer even great services, comparison to the most expensive one. We suggest you make the price range in between 50-160$ if you are going to use it for multiple devices. You can go higher or lower form this price range but check and compare the features well to determine the value of the product. There are many logical reasons to say a CenturyLink modem is better from the cable connection. Look all these benefits given below to understand the advantages of a CenturyLink DSL Modems. The modem gives you the freedom to access your phone calls while the internet is full on. You don’t need to stop the downloading or interrupt on other’s program to talk with your buddies. CenturyLink DSL Modems are very secure and user-friendly. You can use multiple devices from one modem, but no intruder can enter into your system. The DSL modems come in all kind of budget range. So, anyone can find the best CenturyLink DSL Modems or modem router combo very easily. The dual band system of this model offers 1600 Mbps of speed in theoretically. In reality, it offers 9 Mbps speed in 10 m radius. As the distance gets bigger, the speed also dropped little by little. But still its better than other modems to use the everyday internet. The modems are maintenance free. Once you connect and complete necessary settings online, you don’t need to check or maintain it time to time unless it’s down. Installing a new CenturyLink Modem is not a hard thing to do. Follow these simple steps showing below for CenturyLink modem setup. Gather all the necessary equipment that you are going to need. Your purchased model should include some of these tools like power cords, green phone cord, yellow Ethernet cable including with the modem. Don’t forget to ready the device you are going to connect. If you have a landline with high-speed internet, you will need a fitter to connect the modem. The filter does not come with a modem. So you have to purchase it severalty. Connecting home security system, cable box, Tivo, fax, answering machine, DirecTV, etc. requires filter as well. For VOIP or Internet-only unplug all the equipment connected to the same line of your internet. Find a place where your modem will be stay. The area should be anywhere higher like the top of a medium-height self, cabinet, or table. The site needs to open, so the air circulation remains normal. Modem or any other electronic devices get hot quickly. So, it’s better not to keep the modem near computer monitor, microwave, TV. Also avoid the places where glass, mirrors, fish tank, AC/cooler, etc. nearby. Connect one end of the power cord into the modem and another end into the power outlet. The power light will automatically turn green. Some modem may have with the power switch. For them, you need to on the switch after plug-in the cord. Connect one end of the green phone cord into the phone jack located on the wall and second one into the DSL port of your modem. The DSL port is also green color, so it’s easy to find out. Within 4/5 sec the DSL light will also turn on green which means it’s on and connected. To connect the internet plugs the Ethernet cable into your device (laptop/desktop) and with the modem. Your device should be ON at this time. A moment later the Ethernet light will turn-on/green to show it’s connected. If you want the wireless connection use the SSID and KEY/Passphrase of your CenturyLink modem. Resting program is useful for fixing some connection problem or speed-up the internet problem instantly. For CenturyLink modem resets unplug the power cord and rest it for few seconds. Now plug it again and wait for the turning the power light on. Now check the internet and adjust the necessary settings. All the customize settings will no longer exist once you reset the modem. The resent modem will run on factory settings. You better write down the necessary IP address, password or anything you need for your connection. So in the end, you have got a clear idea what you could expect from a CenturyLink modem from all these discussions. Either you can pick one of these best modems for CenturyLink 2018 from our review, or you can use it for your research to choose your preferred one. Our top editor’s pick is Zyxel C1100Z 802.11n. This one comes with a lot of useful features but less complexity. Hence the durability of the modem is outstanding. If you want an all-rounder router and modem combo, having this one is a must. If you know about DSL modems, then you should also know that independent modems, particularly for DSL, are few and far between current days. We succeed to find some functional combine units so one can choose a modem without wasting much time and energy. 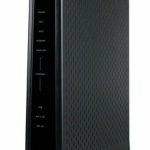 So take a good look at all these best CenturyLink modem router combos and made a wise decision for better internet experience in your home/office or anyplace you need. I’m using the Zyxel C1100Z in my home and great to see on the top position on your list. This is really a good cable modem with fast speed and easy set-up feature. Thanks for your awesome feedback. This will definitely help our readers to choose the right DSL Cable modem. Is NETGEAR AC1600 compatible with the Samsung 800 series SSD? I have the Netgear D7000 and it not working with the Samsung SSD. I have 1500 sq.ft. apartment with 3 bedrooms. Which one will be the best option? I need full coverage and good speed. Seems the Zyxel C1100Z 802.11n. will be the best option for your apartment. This modem comes with the large coverage area, can provide high-speed internet and easy to set-up. You can also have a look at the NETGEAR AC1600. This one also could be a good option for you. However, before buying the modem, make sure that it can cover 1500 sq.ft area by checking manufacturer user manual or website. Which one will be the best option for office use? I’ll use the internet in 5-6 PCs and 3-4 Smartphones in my office. For heavy uses, we would like to recommend Zyxel C1100Z 802.11n, NETGEAR AC1600, and CenturyLink ZyXEL PK5001z. These modems are good for heavy uses.